Chevron Philippines Inc. (CPI), marketer of Caltex fuels and lubricants, today announces that it will make a significant investment in Davao City’s workforce of tomorrow or today’s students from public senior high schools. CPI also encouraged other businesses to do so all over the country. This was revealed by CPI Country Chairman Peter Morris during the launch of Caltex Fuel Your School (FYS) in a Caltex station in Brgy. 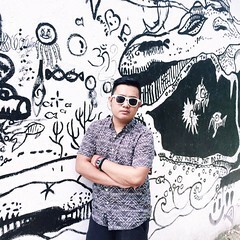 Bajada, Davao City. “From June 1 to June 30, 2016, for every 1-liter purchase of Caltex with Techron or sale of Delo Sports diesel engine oil at participating Caltex stations in Davao City, we will donate one peso (P1) to support qualified classroom projects in STEM subjects,” announced Morris. 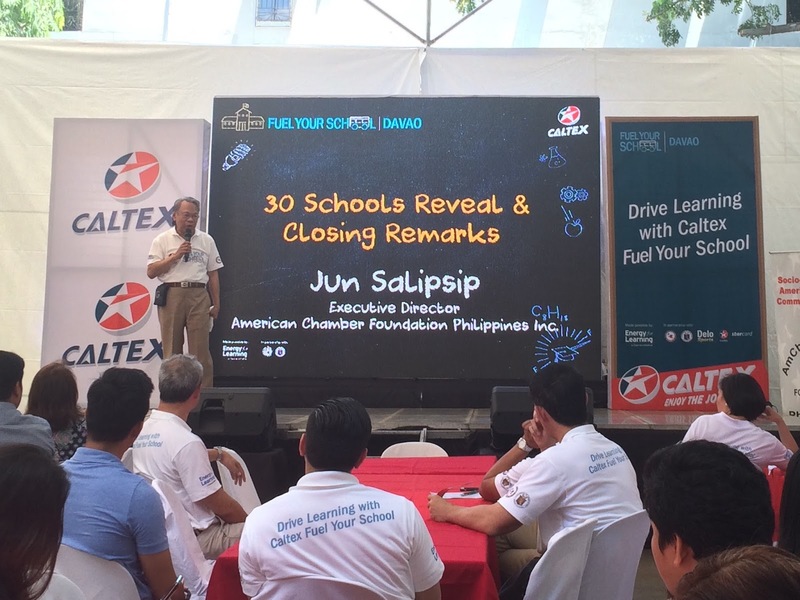 “Caltex Fuel Your School’s vision is not just to modernize education in the Philippines, but also to empower the teachers and equip the students with high quality and advanced learning, making them career-ready as they step out of school. By involving different partners such as educators, Caltex retailers and lubricant accounts as well as Davao motorists, Caltex Fuel Your School models the idea of ‘it takes a village to raise a child,” stated Morris. “We are issuing a call-to-action to other businesses to join Chevron in supporting project-based learning methods to increase engagement in STEM and promote engineering design thinking in classrooms. We must increase student engagement in STEM subjects. This is not a small challenge, and the business community has to do its part. If we want to truly make a difference, we must all work together to provide educators with resources to interest students and prepare them for STEM related careers,” said Atty. Raissa Bautista, CPI Manager for Policy, Gov’t and Public Affairs. DepEd XI Regional Director Alberto Escobarte sees Caltex Fuel Your School initiative as a welcome development to the continuous upliftment of education in Davao City. “This will surely help fuel up the learning process in Davao City as it maintains its title as the education hub in Mindanao,” Escobarte said. “We are thankful and happy that Caltex retailers here in Davao City are given the opportunity to work as one. This initiative is our way of giving back to Davao City schools particularly at this time when senior high school will be implemented for the first time and public schools need all the help they could get to successfully teach STEM,” said Allan Orillan, a Caltex retailer in the city. Morris assures that Caltex FYS is set to fuel up STEM learning in more schools in the country every year. CPI is committed to contribute to the development of education in the country through its long-term Energy for Learning initiative under which more and more programs are being created to provide learning and livelihood skills to disadvantaged people.